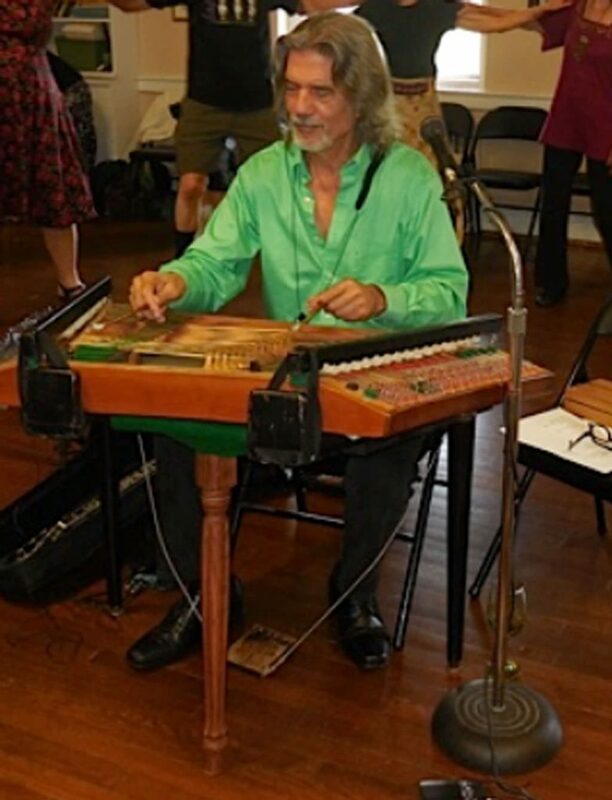 Yiannis (John) Rousos is one of only a dozen or so musicians in the United States that plays the Greek Santouri. He first fell in love with the instrument in 1970, when his girlfriend, Georgia, joined him in Athens. She brought him to see the virtuoso Santouri master, Aristides Moschos, rehearsing with a small band for the Lykeion Greek performing dance troupe. Yianni career as a musician spans nearly half a century, and he continues to perform, teach, and share his love of the Santouri. His credits include performances at Carnegie Hall, Lincoln Center, the Penn Museum of Anthropology and Archeology, and the Philadelphia Art Museum.